An antique map by F. Delamarche, published in 'Atlas de la Geographie......' in 1829 with original hand colouring. An antique map drawn by Alexandre Vuillemin and reviewed by Charles Lacoste. It was engraved by Sengteller and published by J. Migeon in Geographe Universelle. Atlas-Migeon, Paris, 1882. Inset plan of the Suez Canal and a vignette view of Jerusalem. Covers the area from the Mediterranean Sea to the Gulf of Aden. An antique map by Aaron Arrowsmith, Hydrographer to His Majesty, No. 10, Soho Square. Published in "Orbis Terrarum Veteribus Noti Descriptio. A Comparative Atlas of Ancient And Modern Geography, from original Authorities, and upon a New Plan For The Use Of Eton School" January 2nd, 1828 with original outline colouring. In the centre of the map the river Nile with 'desert' to the left side and the 'Red Sea' on the right side. Lower Egypt - Aaron Arrowsmith. An antique map drawn by Aaron Arrowsmith and engraved by Sidney Hall. Published by A. Constable & Co. Edinburgh in the first edition of Arrowsmith atlas published in 1817. 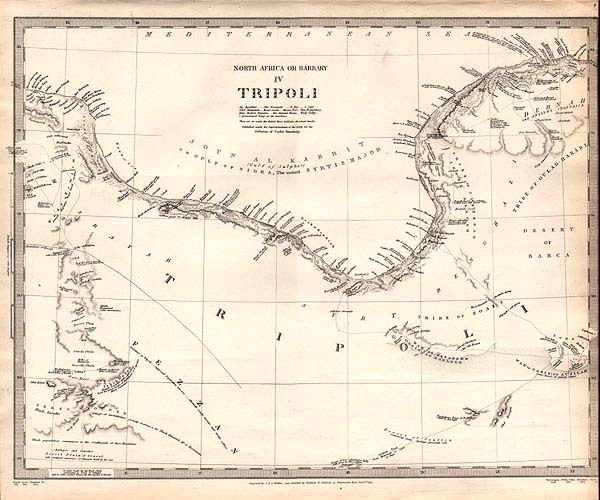 North Africa or Barbary IV Tripoli. S.D.U.K. More Info An antique map by Smyth, Lyon, Denham, Horneman, Della Cella, Beechey, Pacho; Engraved by J & C Walker. Shows the region from 70 miles east of Tripoli to Al Natroun and inland to Jebel, Soudan and the Oasis of Aujilah and Maradeh. Published under the Superintendence of the Society for the Diffusion of Useful Knowledge by Baldwin & Cradock, 47 Paternoster Row, Feb. 1st. 1837. Right vertical margin trimmed to printed border. An antique map by Smyth, Lyon, Denham, Horneman, Della Cella, Beechey, Pacho; Engraved by J & C Walker. Shows the region from 70 miles east of Tripoli to Al Natroun and inland to Jebel, Soudan and the Oasis of Aujilah and Maradeh. Published under the Superintendence of the Society for the Diffusion of Useful Knowledge by Baldwin & Cradock, 47 Paternoster Row, Feb. 1st. 1837. Right vertical margin trimmed to printed border. 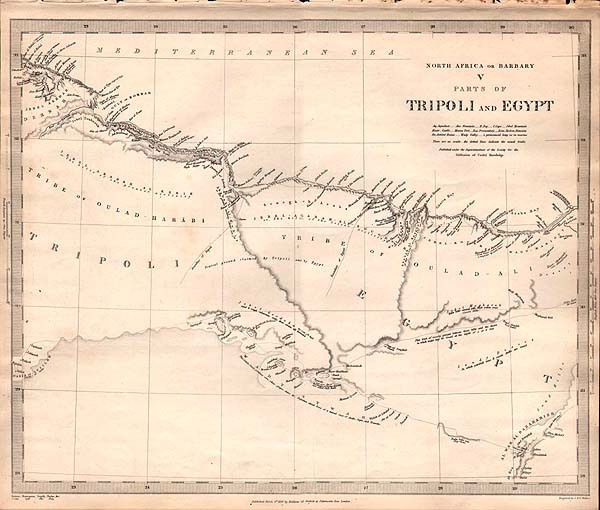 North Africa or Barbary V Parts of Tripoli and Egypt. S.D.U.K. More Info An antique map drawn by Browne, Horneman, Smyth, Pacho; Engraved by J & C Walker. Shows the region from Ras al Halal (Cape of the Crescent) to Alexandria and Al Wal Al Bahahahrieh, Al Hez and Wady Sywah and the Oasis of Aujilah in the Interior. Published under the Superintendence of the Society for the Diffusion of Useful Knowledge March 1st. 1837 by Baldwin & Cradock, 47 Paternoster Row, London. 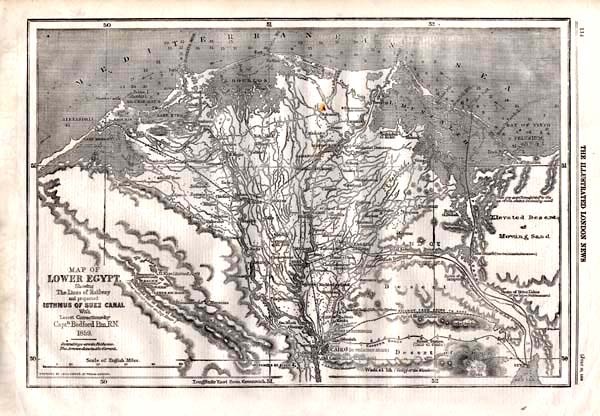 An antique map drawn by Browne, Horneman, Smyth, Pacho; Engraved by J & C Walker. Shows the region from Ras al Halal (Cape of the Crescent) to Alexandria and Al Wal Al Bahahahrieh, Al Hez and Wady Sywah and the Oasis of Aujilah in the Interior. Published under the Superintendence of the Society for the Diffusion of Useful Knowledge March 1st. 1837 by Baldwin & Cradock, 47 Paternoster Row, London. 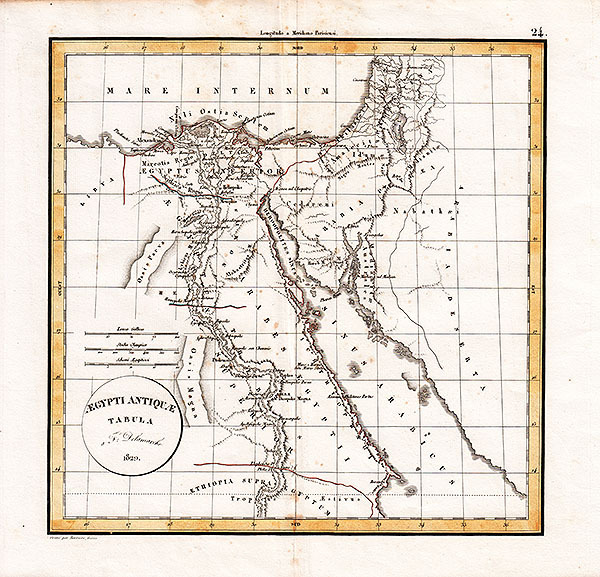 An antique map of Egypt by G. Long, Prof. Greek, Londn. Univn. engraved by J. & C. Walker. Published by Baldwin & Cradock, 47 Paternoster Row, Jany. 1st. 1831 under the Superintendence of the Society for the Diffusion of Useful Knowleage. In the centre of the map the river Nile with 'desert' to the left side and the 'Red Sea' on the right side. 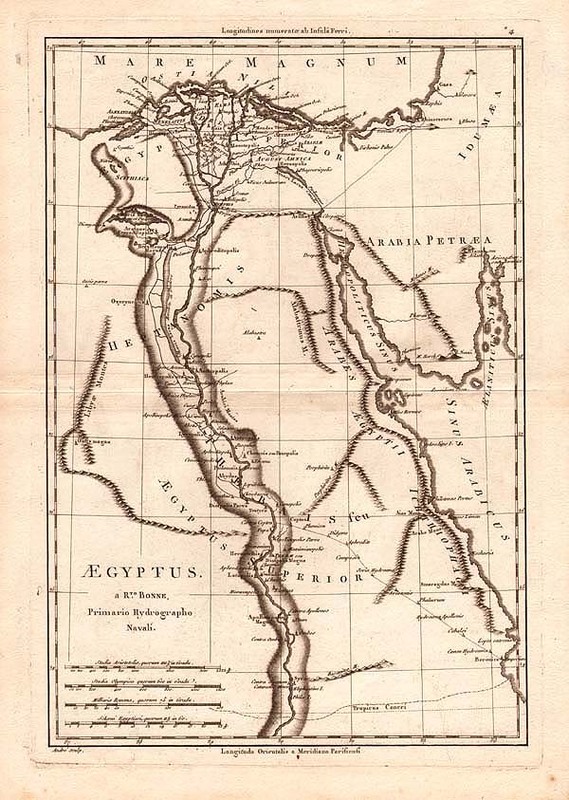 Inside the map are many small place names along the the river Nile and along the coastline. 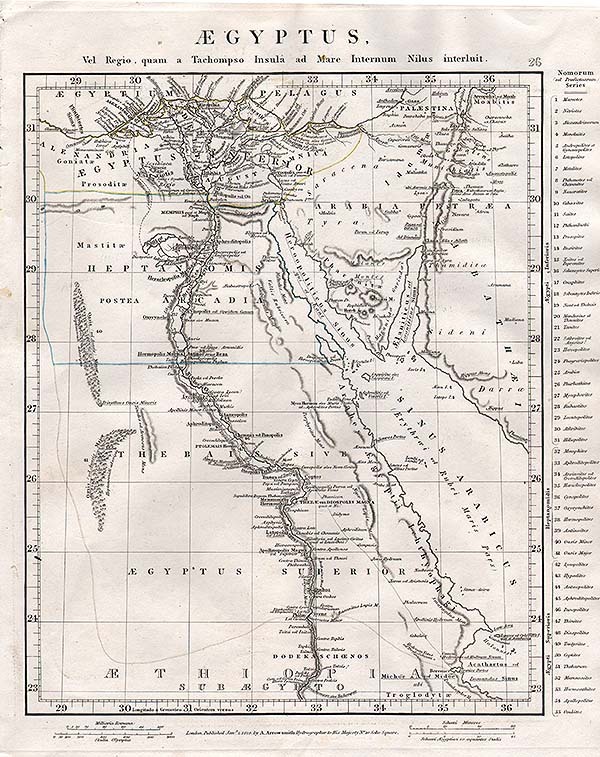 In the lower left corner is an inset map which shows Nubia. 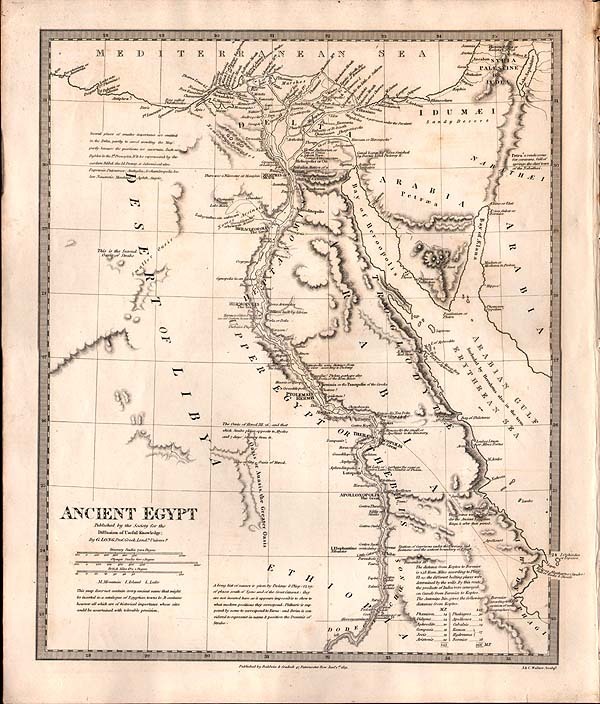 An antique map of Ancient Egypt, engraved by J. & C. Walker. Published by Baldwin and Craddock 47, Paternoster Row, January 1831 for the Society for the Diffusion of Useful Knowledge (SDUK). Map by G. Long. Professor of Greek. London University. An antique map by Rigobert Bonne 'Primario Hydrographo Navali' the important French engineer and cartographer (1727-1795) who succeeded J.N.Bellin as Hydrographer at the Depot de la Marine (1773). 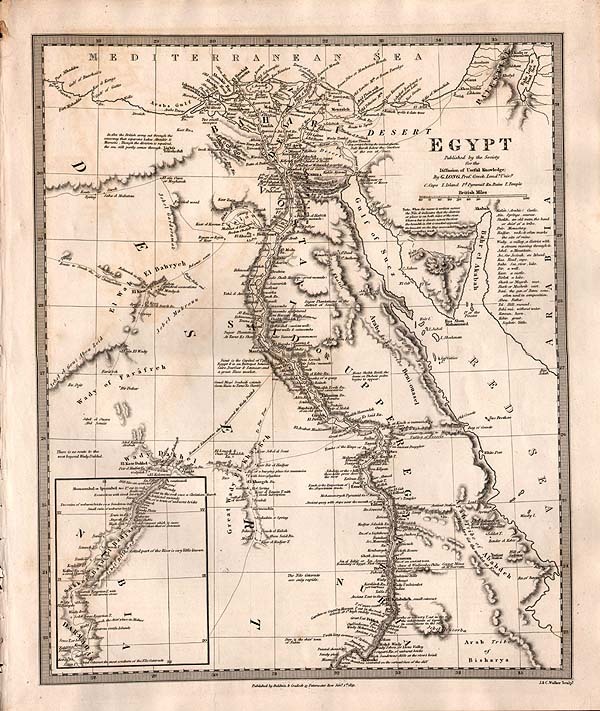 This map showing Egypt was published in the "Atlas Encyclopedique" . Circa 1787. Engraved by Gaspar André. Rigobert Bonne - Imperia Antiqua Pars Occidentalis. 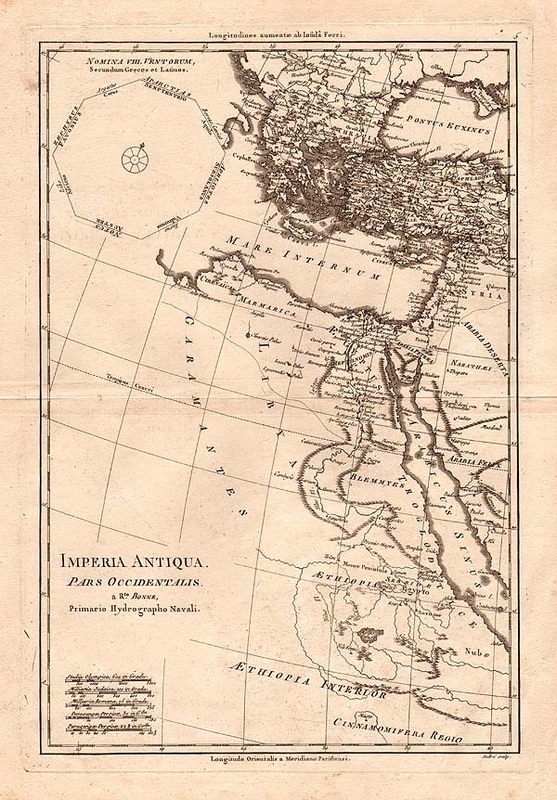 An antique map by Rigobert Bonne 'Primario Hydrographo Navali' the important French engineer and cartographer (1727-1795) who succeeded J.N.Bellin as Hydrographer at the Depot de la Marine (1773). 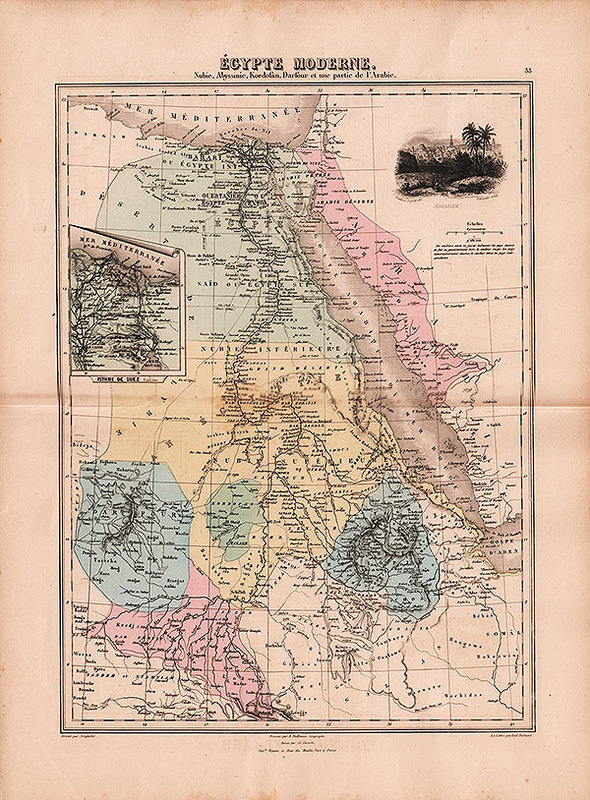 This map showing portions of northeastern Africa was published in the "Atlas Encyclopedique" . Circa 1787. Engraved by Gaspar André. 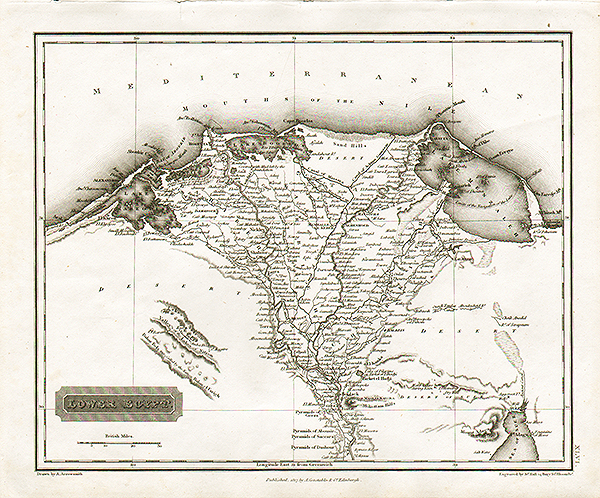 Map of Lower Egypt showing 'The Lines of Railway and projected Isthmus of Suez Canal with Latest Corrections by Captn. Bedford Pim. R.N. 1859'. More Info An antique woodcut engraving which was published in "The Illustrated London News" on July 30, 1859. The map was engraved by John Dower, St. Paul's, London. An antique woodcut engraving which was published in "The Illustrated London News" on July 30, 1859. The map was engraved by John Dower, St. Paul's, London.